This 12 -14-Seater Minibus is a Ford Transit, large enough to transport a great number of people to an event. An industry standard, it comes with enough space to ensure that your party arrives relaxed and refreshed. 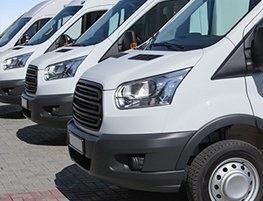 Like all our vehicles, the minibus you’ll be hiring will be no older than 6 years old, fully equipped and kitted with the latest technology. Designed to accommodate a small group, the 12 Seater Minibus we offer for hire in York is ideal for school trips, church group outings, and even corporate events. Booking your 12 seater minibus with York Minibus will enable you to enjoy the best of what York has to offer alongside friends and family, to ensure timely arrivals and to see as many attractions as possible. We aim to collect and drop you off on time, and we’re always a few minutes early just to make sure everything goes according to schedule. Our spacious vehicles are not only practical, boasting various ergonomic and space-saving features, but also comfortable and powerful. Be it a dash to your hen party’s next pitstop or an organized effort to attend a business conference on time, our 12 -14-Seater Minibus is sure to get you there in comfort and style. To book your 12-seater, or to speak to a member of the York Minibus team, please don’t hesitate to call us today.